Young women need a framework for positive decision making based on values such as compassion, service, creativity, and integrity. Without such a framework, navigating the storms of adolescence can seem impossible. 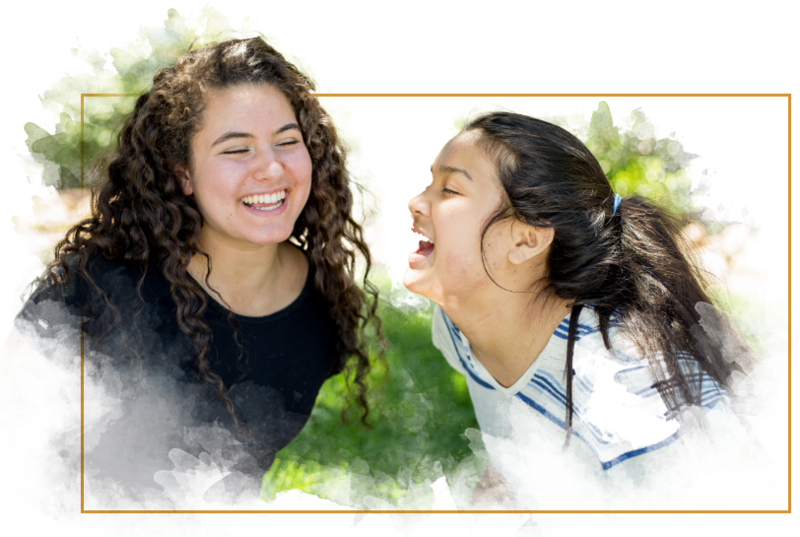 The New Haven Values Program creates an opportunity for you and your daughter to connect as you discover, clarify, and live out your own and your family’s values. Doing so allows you the opportunity to create, repair, or strengthen its own unique foundation. Choose the following type of framework to learn more. New Haven has a long history of embracing families and nurturing change. Since its founding in 1995, this work has been guided by six core values: love, locus of control, family, selflessness, values, and spirituality. These values are the basis for every programmatic, therapeutic, and organizational decision we make; they’re also the glue that has connected our team for so many successful years. Your daughter can change and heal more easily in a loving environment. By modeling it ourselves we effectively teach her how to give and receive love and respect. We encourage our students to express care to their family, divine source, teachers, therapists, peers, community, and all living creatures. Where your daughter perceives her locus, or center point, of control to be is central to her ability to manage her own life. If she believes that she is being controlled externally (i.e. by family, luck, a perpetrator or society) she will lack a sense of personal control in her life. New Haven can help your daughter change her perceived locus of control from an external place to an internal one. An internal locus of control empowers her to actively make positive changes in her life and abandon the passive stance of victimhood. This change fosters responsibility, accountability, and empowerment. Family involvement is central to New Haven’s treatment philosophy. We realize that lasting change in your daughter only occurs if your family changes in unison with her. 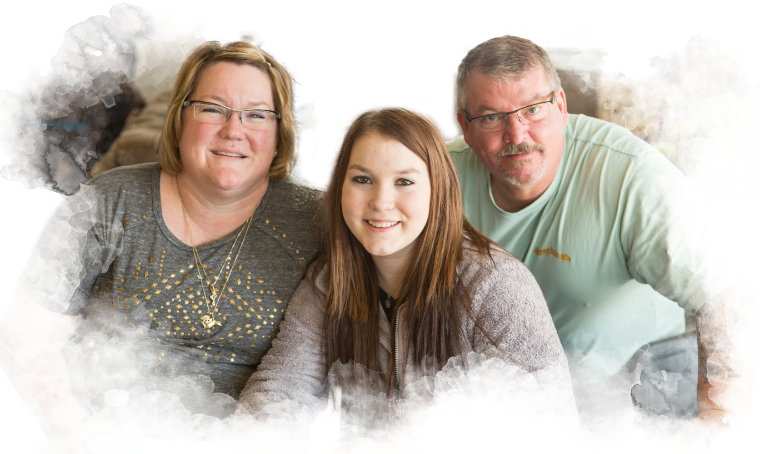 Through family events, family therapy, and parent coaching, we invite families to join their daughters in a process of grieving, growing, forgiving, and healing. Selfish and destructive decisions can, over time, deeply erode self-esteem. As feelings of self-worth disappear, young women frequently fall into a defeating pattern of justification, rationalization, and other defense mechanisms that, in turn, lead to depression, anxiety, and other emotional problems. This self-reinforcing pattern can be broken by a shift to an outward, service-oriented focus. Our girls, their families, and our staff are proof positive of the healing power of service. The more your daughter reaches out to others, the more she will discover her own worth and sense of purpose. True happiness and peace are only available to the extent that your daughter’s behavior aligns with a clear set of positive personal values. At New Haven, we encourage your daughter to uncover, articulate, and cherish her own value system and to align her life with those values. We believe that every human life is sacred. A person’s spirituality – or sense of connectedness to something divine – can provide the deepest sense of meaning, purpose, and direction. See an example of our Values Program Beads. She is once again the lively, healthy, and loving daughter-sister we remembered. Her confidence and laughter are joys to behold. As part of our values program, each student gains insight and deeper understanding of their own personal values and interests. When a student reaches the insight phase of healing and growth she will set up a private lesson of her choice to help with her progression. These lessons are frequently interests that a girl has engaged with in the past or a new passion discovered from experiences with peers, off-campus activities with staff, or in experiential therapy. New Haven students have participated in private lessons in the community that include, rock climbing, vocal, guitar or other instruments, dancing, and snowboarding. Not only is this great practice for students to be in an off-campus environment, it is also a great relationship coaching experience with a mentor in a one-on-one scenario. At New Haven, we strongly believe in the involvement of the whole family system in the healing process. Upon arrival at New Haven, families work with their primary therapist to establish individual and collective goals for family healing to create the master treatment plan. The master treatment plan provides a framework from which all treatment interventions are derived. It is a working document that emphasizes treatment of the entire family and outlines specific strengths and goals for the student to accomplish during her experience at New Haven. This master treatment plan is reviewed weekly by the team of professionals specifically assigned to each family to ensure that treatment is progressing in a favorable and timely manner. In addition to all of the other therapies, students with substance issues attend a weekly recovery meeting and participate in one-to-one sessions with our substance abuse counselor. There is also a specific chemical dependency track available to girls needing it as an additional aspect of the program. When insight phase and higher are reached, the students can also attend AA/NA community-based meetings and participate in intensive day experiences with one of our therapists.